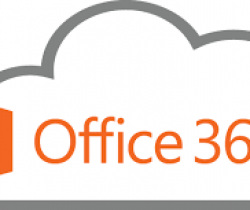 What is Office 365 Business Premium? The Office 365 Business Plans includes features and price points tailored to meet the needs of small and midsize businesses ranging from 1 to 300 employees. The plan includes access and usage of core cloud services for running your business including business class email and calendaring, Office Online, online meetings, IM, video conferencing, cloud storage, file sharing and much more. Your team can simply sign in and start using their emails, share calendars, chat to each other using instant messaging, conduct video conferencing sessions, upload and share files as well as create team sites to make collaboration easier; plus they'll always have the latest versions of Microsoft Excel, Word and PowerPoint. Microsoft takes care of all the hosting, data security, document storage and backing up for you. Design customised marketing materials that fit your brand and customers. Enjoy a more consistent and familiar Office experience across PCs, Macs, Windows tablets, iPads, and most mobile devices. Office supports PCs and Windows tablets running Windows 7 or higher, and Macs with Mac OS X 10.6 or higher. Office for iPad can be installed on iPads running version 7.0 or higher. For more information about mobile devices, visit www.office.com/mobile. Email and calendars Use business-class email through a rich and familiar outlook experience you can access from your desktop or from a web browser using Outlook Web App. Get a 50 GB mailbox per user and send attachments up to 25 MB. Online conferencing Host online meetings with audio and video using one-click screen sharing and HD video conferencing.